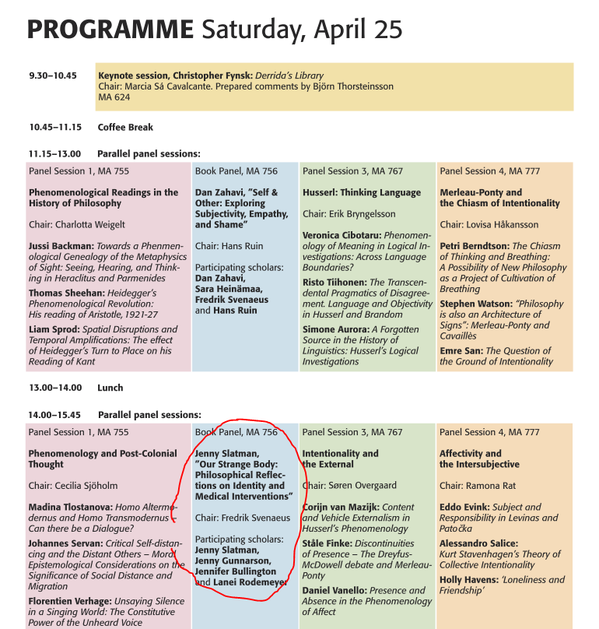 2015 Phenomenology of the Body in the Medical Encounter, paper, Phenomenology and Health conference, TORCH, University of Oxford, March 27-28, 2015. 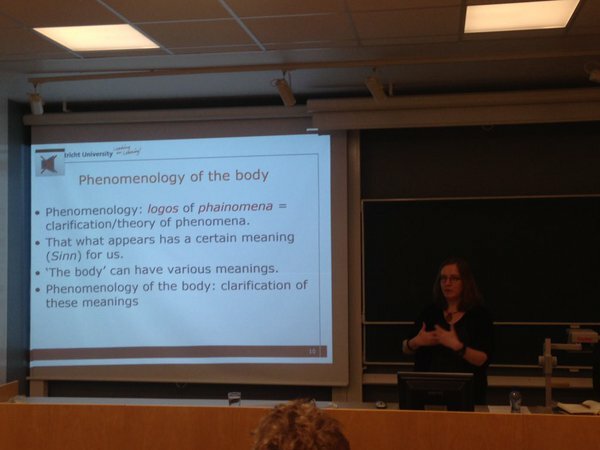 2010 Presentation Phenomenology of Bodily Integrity in Disfiguring Breast Cancer. 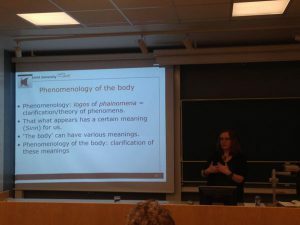 Conference “Bodily Phenomenology”, Centre for Studies in Practical Knowledge, Södertön University, Stockholm, Sweden, May 19-21, 2010. 2009 Treatment at Any Cost: How Much Mutilation is Acceptable at Young Age?, Presentation together with Michiel van den Brekel (ENT specialist NKI-AVL) and Guy Widdershoven (Free University Amsterdam), The 9th International Netherlands Cancer Institute Head and Neck Symposium, Netherlands Cancer Institute -Antoni van Leeuwenhoek Hospital (NKI-AVL) Amsterdam, April 16-17. 2008 Exploring Bodily Integrity on the Basis of Patient’s Narratives, Paper EACME (European Associations of Centers for Medical Ethics) conference, Prague, September 24-26. 2007 A Strange(r’s) Hand: Empathy and Self-attribution. 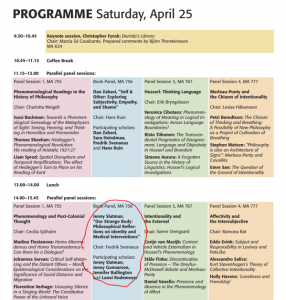 Paper Annual Meeting Nordic Society for Phenomenology, Copenhagen, April 20-22. 2006 The Body’s Difference: Identity in Contemporary Culture, Invited speaker, international conference on First Philosophy, Phenomenology and Ethics, Nijmegen, September 21-23. 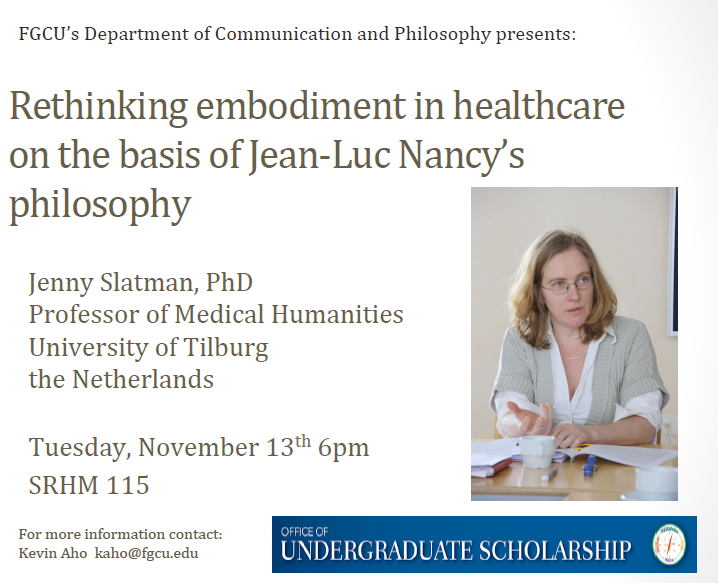 2006 On the (im)possibility of immediate bodily experience, Paper international conference Mediated Bodies, Maastricht University, September 14-16. 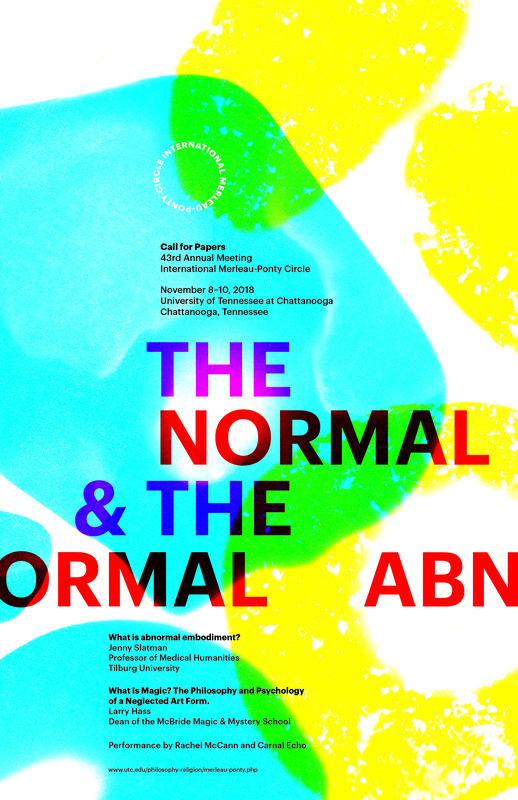 2004 The Myth of Interiority, Paper Expert Meeting The Mediated Body, Maastricht University, 30-31 January 30-31. 2003 Erlebnis-Empfindnis: The Locus of Lived Experience, Paper Merleau-Ponty Circle Meeting, University of Western Ontario, London, Ontario, Canada, September 18-20. 2003 De l’aisthêsis à la poïêsis, Invited speaker colloque Merleau-Ponty: de la perception à l’action, Université de Provence, Aix en Provence, May 15-16. 2003 Frappé(e) par les flèches de Saint-Sébastien : Pour une phénoménologie non-eidétique, Invited speaker colloque international sur l’esthétique et l’herméneutique: La fin des grands récits?, L’université de Bourgogne et le centre Gaston Bachelard de Recherches sur l’imaginaire et la rationalité, Dijon, April 3-4. 2002 Symbolic Fragmentation, Paper Expert Meeting The Mediated Body, Maastricht University, May, 30-31. 2002 L’invisible dans le visible. 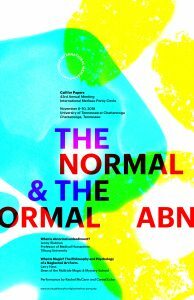 Vers une phénoménologie de l’eikôn, Invited speaker Colloque International; Merleau-Ponty aux frontières de l’invisible, Faculté de Philosophie, Université Jean Moulin Lyon III, March 1-2. 2002 Singular Body Images from a Feminist and Phenomenological Point of View, Paper Expert Meeting Feminist Phenomenology and Hermeneutics, Radboud University Nijmegen, February 8-10. 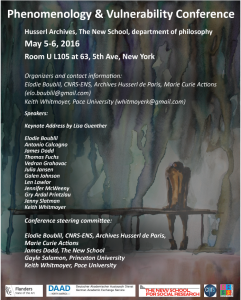 2001 Participant Table ronde with Jean-Luc Nancy, Conference Political Theologies, ASCA, Amsterdam, June 27-29. 2001 Ex-corpore: Integrity and Identity of the Body, Paper at The Annual Meeting of the International Association for Philosophy and Literature (IAPL), Atlanta, Georgia, USA, May 1-5. 2000 L’impensé de Descartes: lecture des notes de cours sur ‘L’ontologie cartésienne et l’ontologie d’aujourd’hui’, Paper at Symposium Phenomenologicum in Perugia, Italy, July 17-21. 1999 The Psychoanalysis of Nature and the Nature of Expression, Merleau-Ponty Circle, Wrexham, Wales, July 29 – August 1. 1997 Foi et Voir: Télé-vision, entre confiance aveugle et foi perceptive, Paper at Conference Religion et média, l’Institut néerlandais Paris, December 15-17. 1996 Philosophy of the Body as “Figured Philosophy”, Paper at conference Philosophy of the Body: Merleau-Ponty, Slovensko drustvo za estetiko, Ljubljana, Slovenia, November 21-22. 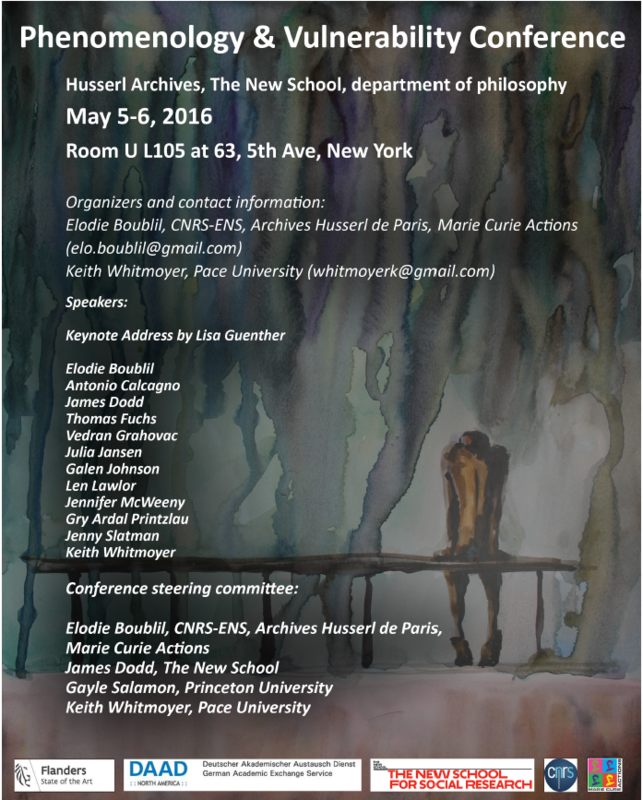 1996 Narcissus and the Mirror of Flesh: Subjectivity in the Late Merleau-Ponty, Paper at Second International Philosophy Conference: International Perspectives on Continental Philosophy, University of Essex, Colchester, England, February 24.